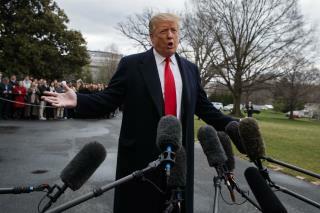 (Newser) – Attorney General William Barr scoured special counsel Robert Mueller's confidential report on the Russia investigation with his advisers Saturday, deciding how much Congress and the American public will get to see about the two-year probe into President Donald Trump and Moscow's efforts to elect him, the AP reports. Barr was on pace to release his first summary of Mueller's findings on Sunday, people familiar with the process said. The attorney general's decision on what to finally disclose seems almost certain to set off a fight with congressional Democrats, who want access to all of Mueller's findings—and supporting evidence—on whether Trump's 2016 campaign coordinated with Russia to sway the election and whether the president later sought to obstruct the investigation. Next on Newser: In China, Wanted Posters Have Child Photos—But Why? There is no chance that greasy-haired Jr testified to Congress without lying. But ever the faithful GOPer, Mueller covered it up apparently. This guy needs advisers? Gimme a fkg break, will ya?